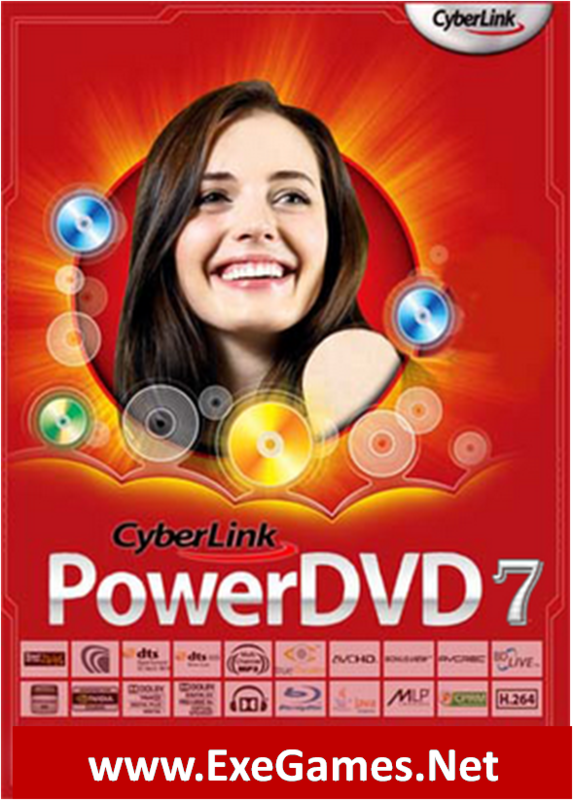 CyberLink PowerDVD 7 is a pioneer in bringing advanced digital video and audio software to the market. Producer of the DVD software player, PowerDVD, CyberLink also delivers complete solutions for the digital home and online learning solutions. CyberLink is an owner of a number of patented digital video and audio technologies. Combined with extensive user-interface research, CyberLink has launched multimedia applications that are robust and powerful, yet friendly enough for the non-professional users. CyberLink PowerDVD 7 Supporting a complete range of video formats including MPEG-4 AVC (H.264) and audio technologies DTS 96/24, Dolby Digital EX, PowerDVD enhances your movie experience outdoors with flexible mobile features such as the new 'See-It-All ' feature that speeds up and completes movie playback before battery power runs out along with a built-in pack for saving essential battery power. PowerDVD 7 has been recognized as a winner of CES Innovations 2007 Design and Engineering Award for the following 2 new features: exegames.net 'Say It Again' feature that instantly repeats a speaker's entire dialog and 'Read-It-Clearly' feature that migrates subtitles to open areas for unobstructed viewing. PowerDVD also offers 5 viewing modes: Dock--resizes panel and fits to bottom of screen; Taskbar--allows access to controls via icon on taskbar; Mini--space-saving design for essential disc control, Full screen--expands viewing mode; Control panel--translucent floating panel. CyberLink PowerDVD Version 7 may include unspecified updates, enhancements, or bug fixes.